In separate multi-volumed works, the author has presented form-analytical English translations of the Mishnah, Tosefta, Yerushalmi, and Bavli, outlined the Yerushalmi and the Bavli, and compared those outlines. In addition, he has set forth the main points of the Halakhah of the topical expositions or tractates of the Mishnah-Tosefta-Yerushalmi-Bavli and stated what he conceives to be the theological message of the respective tractates. Here he follows a single tractate through the principal documents of formative Judaism as he has presented them. 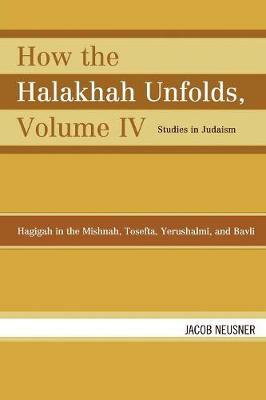 He shows how his academic commentaries, outlines and comparisons and theological summaries yield a systematic account of the Halakhah in its documentary unfolding.